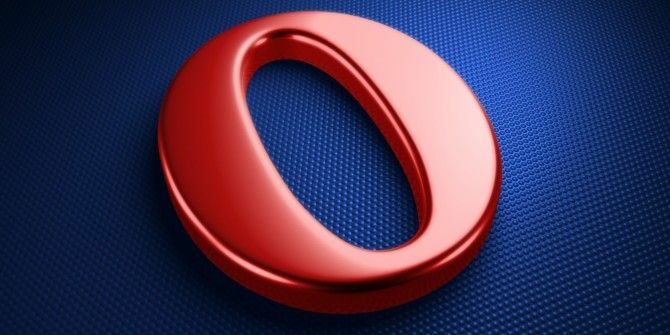 Opera has not only moved to the Google browser layout engine last year with version 15, it also slimmed down by dropping a number of much-loved features. The earlier ubiquitous bookmarks bar feature has been brought back in the latest Opera version 19. A dedicated bookmarks menu is still missing in action, but the bookmarks bar should help you quickly drop your favorite websites and bookmarklets for quick access from the bar. Turn on the bookmarks bar in the settings. Opera has an Advanced User Option on the Settings page and it says that new features will be added soon. Opera isn’t recognizable from the versions which gave it a dedicated userbase a few years back. But it seems that gradual improvements are on the way that should allow it to win back some fans who were left dissappointed with the stripped down changes and the move to Google’s layout engine. I've stopped being an Opera fanboy after v12. I don't like the new rendering engine and stopped getting updates. Yes. They decided to follow Google and free up resources to develop other products. Presto was a real alternative to Blink, but as they say -- things change rapidly in the world of tech. It did leave a bad taste. Oddly enough, none of these new features are anything I'd use - I hate bookmark bars, I don't faff about with themes and such. They removed the main thing I do use, OperaMail - yes, they still have it, but as a separate program, something else to run and consume memory!